Around two thirds of chronic obstructive pulmonary disease (COPD) cases, which is the name for a collection of lung diseases including chronic bronchitis, emphysema and chronic obstructive airways disease, remain undetected until they are in the advanced stages, meaning treatment is often too late. The new pilot study will see specific breathing tests which reveal COPD characteristics take place in GP surgeries in Totton, instead of hospitals. The aim is to identify, diagnose and treat COPD earlier. It is thought there are over three million people living with the disease in the UK, of which only about 900,000 have been diagnosed. This is because many people who develop symptoms of COPD do not get medical help because they often dismiss their symptoms as a ‘smoker’s cough’. 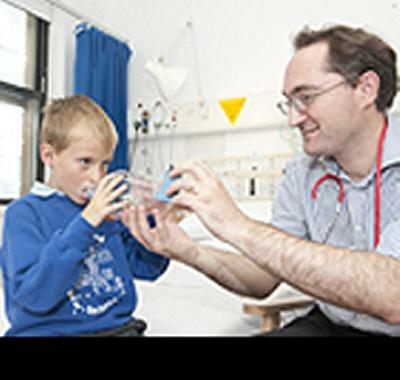 The study is run by the National Institute for Health Research Collaboration for Leadership in Applied Health Research and Care (NIHR CLAHRC) Wessex, a group of researchers from the University of Southampton and University Hospital Southampton NHS Foundation Trust, the Wessex Academic Health Science Network and other local NHS partners. NIHR CLAHRC Wessex, which formally launches today (Wednesday 12 March), aims to tackle some of the most pressing health problems in the South. Under these themes, the research will aim to identify variation in outcomes, improve diagnosis, identify deficiencies in care, improve assessment and reduce antibiotic prescribing in respiratory care. Work will also be done to improve the nutrition of patients in hospital, early detection of liver disease and reduce hospital admissions. NIHR CLAHRC Wessex launches today at a special event at the Hilton Hotel in Southampton.